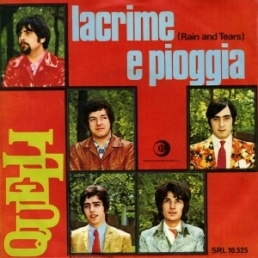 Quelli was an Italian band (1964-1970). Rain and tears is based on Johann Pachelbel's Canon in D Mayor [1653-1706]). I could be able to leave you.